(9-CD LP-sized box set with 52-page book, 254 tracks) A long overdue set! 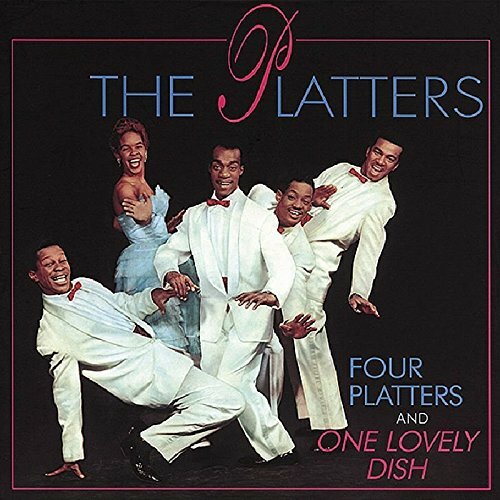 The Platters sold more records, played more venues, and appeared in more films than any other vocal group of the time. They truly had the Magic Touch. By 1962, the Platters had placed an astonishing 35 songs on the American pop charts. The lead singer, Tony Williams, influenced an entire generation of singers - black and white. This is one of the most impressive legacies in black music. Virtually all of the Platters' classic recordings from 1955 to 1964 were made for one label, Mercury Records, and they're here complete for the first time. Titles include Only You, The Great Pretender, The Magic Touch, My Prayer, Harbour Lights, You'll Never Know, Twilight Time, Smoke Gets In Your Eyes, I'm Sorry....more than 250 songs in all.